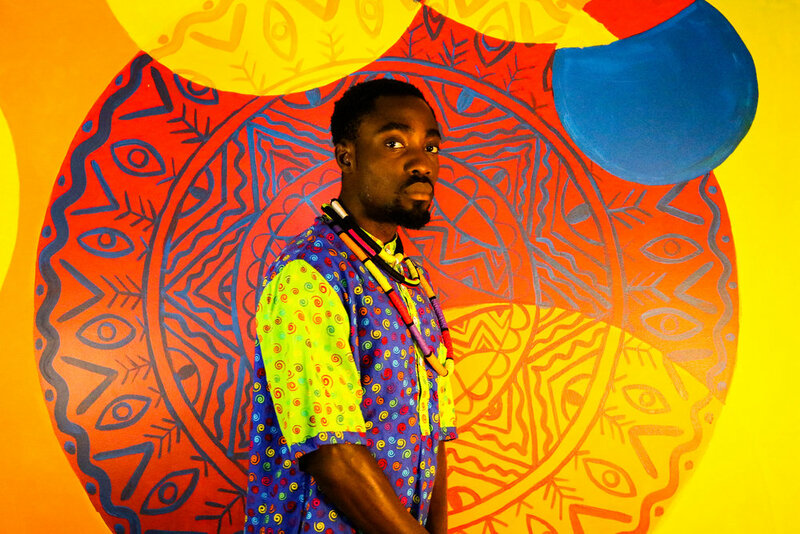 PatternNation has painted freestyle pattern murals around the world in schools, theatres, homes, galleries, shops and in public space. 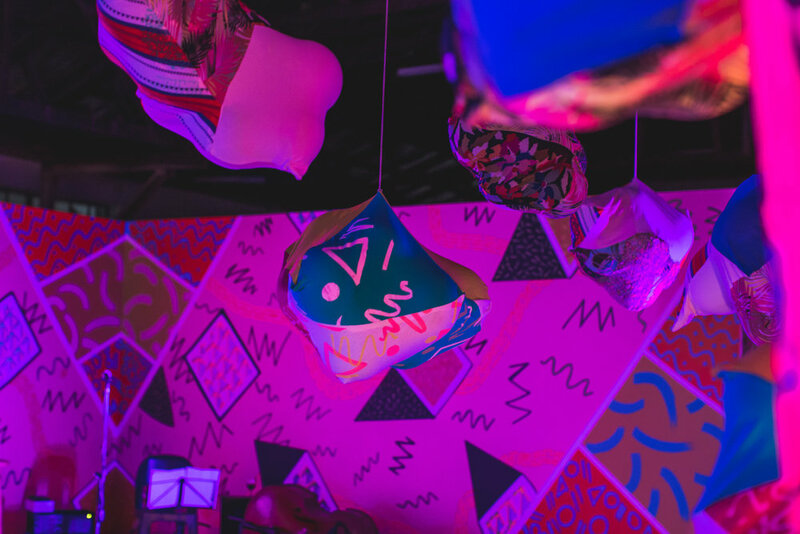 We incorporate many of murals into our fashion editorial shoots and art events. 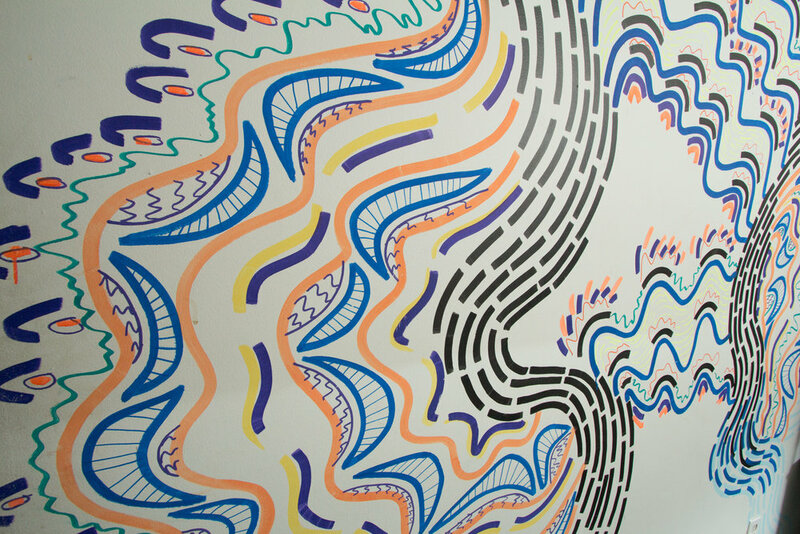 Bellow you can check out time lapse of a mural painted by Cydney Eva Pattern at Creatington in Los Angeles. Past PatternNation Murals include: the Pondo Bridge in Port Saint Johns SA, Station Drive Durban SA, Vidyadaan School Bangalore India, Pegasus Children's Theatre in Oxford England and more. If you want a mural in your space or a custom mural banner for your event contact us. 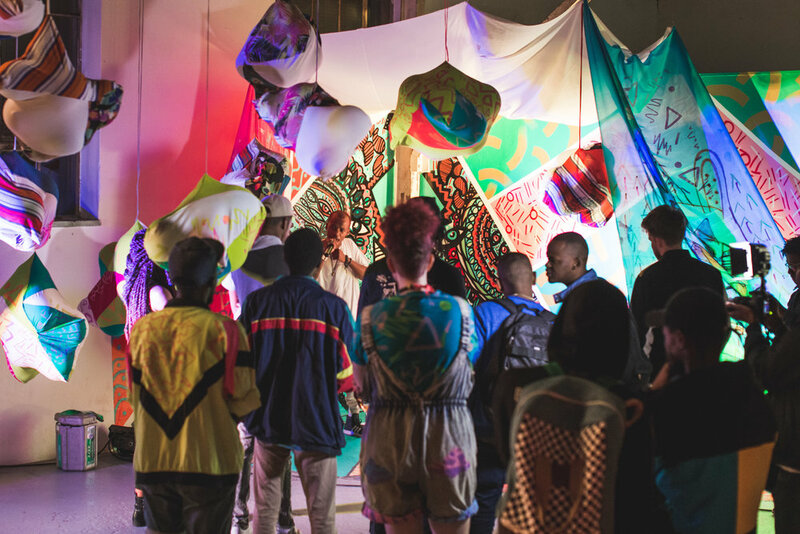 PatternNation Blobs are interactive play sculptures made from upcycled fabric and stuffed with balloons. These unique sculptures have been installed around the world in galleries, clubs, parks and more. The Blobs are fun and safe for all ages and can be installed for short pop ups or longer term installations. Previous Blob installations include Art Represent Gallery in London UK, Art in the Park North Van, Assemblage Gallery Johannesburg SA, KZNSA gallery Durban SA, Belmont Montreal. Celebrities Underground Vancouver, Durban First Thursdays in collaboration with Colour Your City and more. 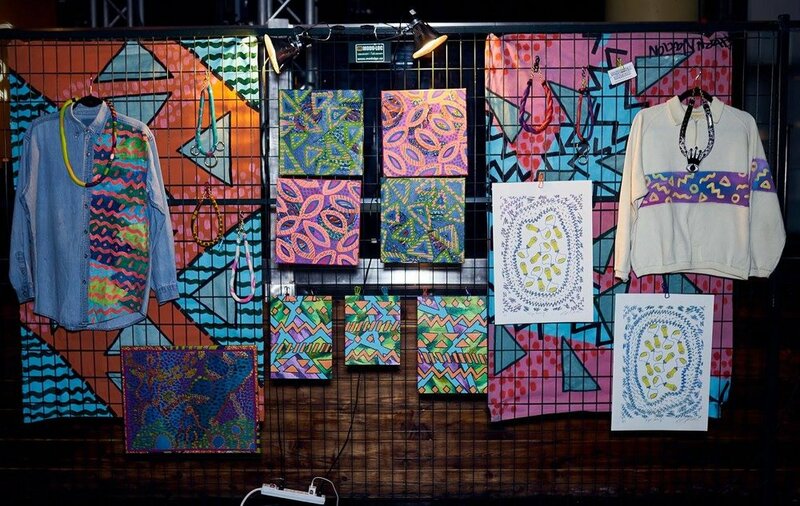 PatternNation shows our work through many types of art shows, pop ups, club events and more. We have shown our Murals, Paintings, Blobs and Clothing at various galleries around the world such as Fashion Revolution at KZNSA gallery Durban, Open House in Bangalore India, First Thursdays Durban at Station Drive and many more. 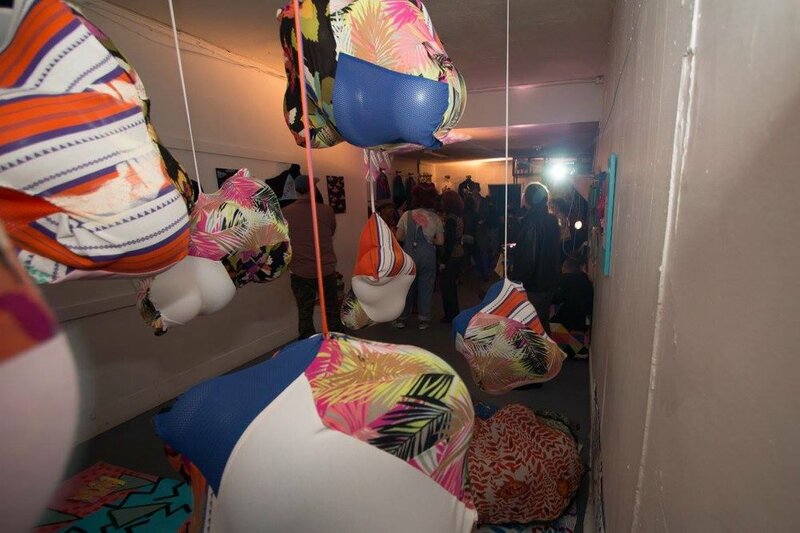 We both curate our own shows and contribute to group shows, festivals and events. Bellow is a film from our gallery show opening night from our two month residency in Johannesburg South Africa at Assemblage Gallery in 2017, we collaborated with local musicians Agord Lean, Elo Zar and Costa Besta. 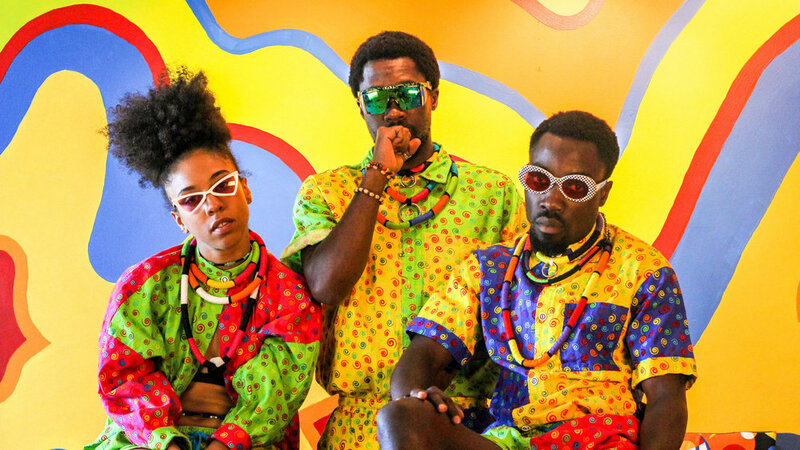 If you want to attend our upcoming exhibtions check out our events and if you would like to book PatternNation at your venue, festival or event please contact us.